Documenting your contributions can make tax matters easier. One of the chief attractions of the traditional IRA is that you can usually deduct the amount of your contributions when you file your tax return for the year, reducing your adjusted gross income. Keeping track of traditional IRA contributions so that you correctly inform the Internal Revenue Service of your contribution can sometimes be a challenge, especially if you make contributions early in the year or have authorized automatic deductions from a bank account. In case of an audit, you might need to prove to the IRS that you made IRA contributions. Documentation takes a little planning. File your Form 5498 with your other tax-related information. Your IRA trustee mails you a Form 5498 every year you make a traditional IRA contribution. In the event of an audit, this form will suffice as evidence of your contributions. 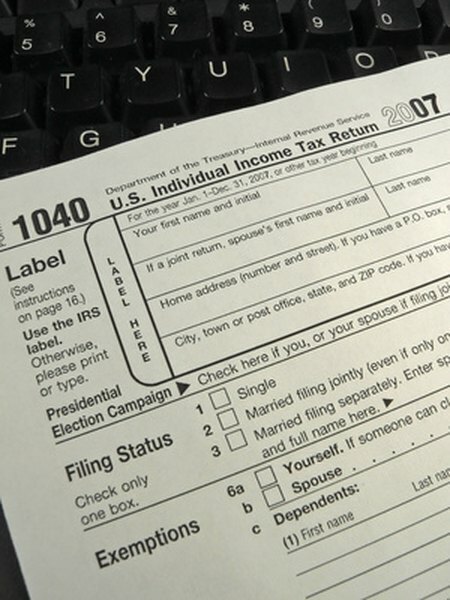 You do not need to include Form 5498 when you file your tax return. Hold on to the regular statements that your IRA trustee sends you. These statements also comprise an official record of your contributions for the year. Tally the contributions when you file your tax return. Keep in mind that you are eligible to put money in an IRA until the tax-filing deadline for the year. So, for example, even though the calendar year ends on December 31, you can include any contributions through April 15 on the previous year's tax return. Enter the total traditional IRA contribution amount in the Adjusted Gross Income section of IRS Form 1040. As of 2012, you enter that amount on Line 32 of Form 1040 or on Line 17 of Form 1040A. For an extra sense of security and for your own record-keeping purposes, set up a paper notebook or electronic document to track your IRA contributions and record the amount of each contribution when you make it. Consider a Word or Excel document. Otherwise, good old pen and lined paper can work well. Even if your contributions are automatic deductions from a savings or checking account, write down the amount the same day it goes into your IRA. If you are audited, however, this personal record will not suffice as IRS proof. Intuit: TurboTax: FAQs: What Should I Do With Form 5498? What Happens if You Forget to Take RMD From an IRA?